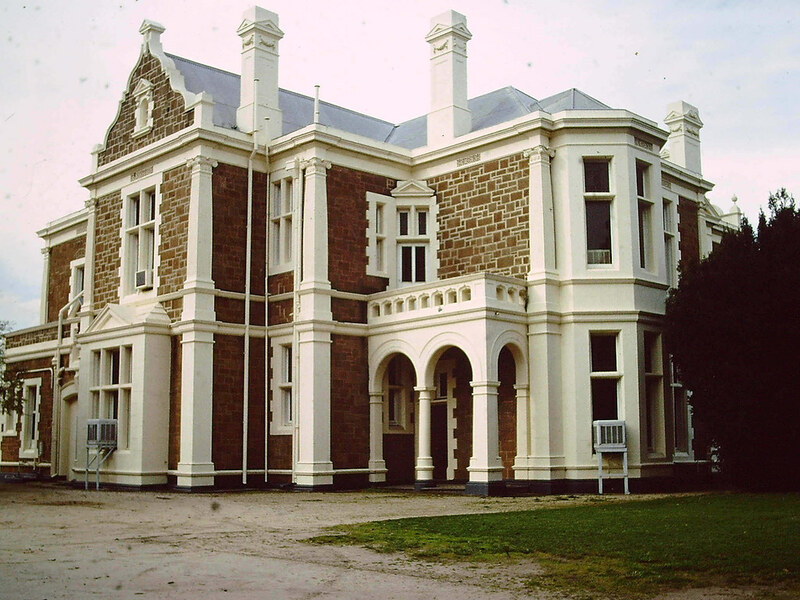 Rymill House is a two storied stone building in the style of the Dutch Renaissance, built in 1881 by Henry Rymill on the site of a house which he had demolished. The Coach house (which faces Hutt Street) matches the design of the house with stone walls of uncoursed ashlar, cemented brick quoins and bluestone foundations. The buildings include old cast iron gutters and downpipes, brackets and gargoyles and a pedimented bay window. The property extends over more than one acre of land. Henry Rymill, of the firm of H. & F. Rymill, financiers, built this house in 1881 on the site of an earlier house which had been his; he, and after his death members of his family, lived in it until the Second World War. It was in the Rymill days known as ‘The Firs’ though the trees were in fact Aleppo pines. The style has been described as a colonial form of Jacobean. 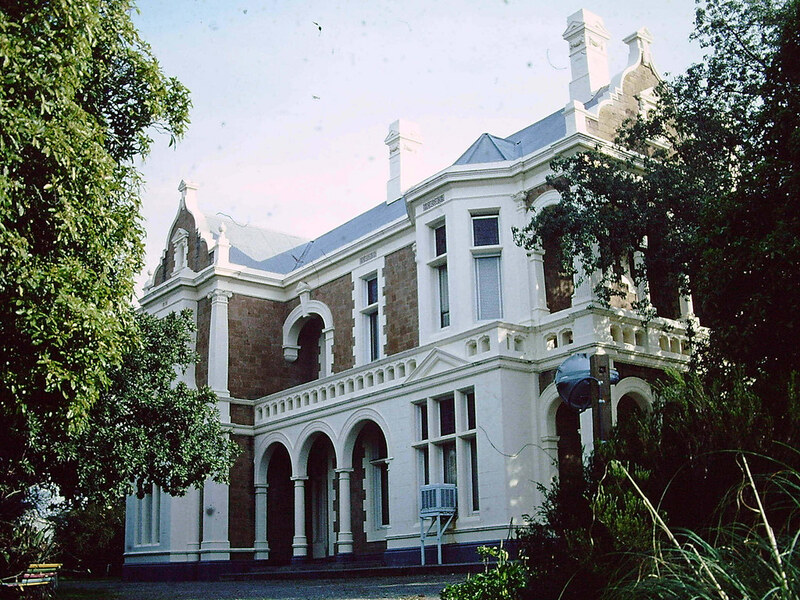 The house remained in the Rymill family until 1950, after Henry Rymill’s death in 1927. It was purchased by what is now Australia Post and used as a training facility until 1982. After a period of neglect, it is now a private residence once again and remains the most outstanding example of the impressive mansions which fronted East Terrace. Over the past 15 years it has been painstakingly restored by its current owners. Architecturally Rymill House is of very high significance as an unusual and exuberant example of the Queen Anne style in South Australia and may be of even wider significance. Its grandeur of scale complex architectural composition and variety of detailing purpose designed embellishments and inlaid decorations add to its representative architectural value and provide important evidence of the history of aesthetics and of a philosophy of design which embraced progressive ideas on taste and lifestyle. The physical survival of that evidence in the buildings fabric (and setting) contributes significantly to an understanding of the spread and evolution of the Queen Anne style outside of England. Rymill House is also a testament to the ability of its architect John Haslam in interpreting and adapting the English style to local conditions. It is one of the largest local examples of his work to survive and the best of only a few of the architectural type and style in Adelaide. 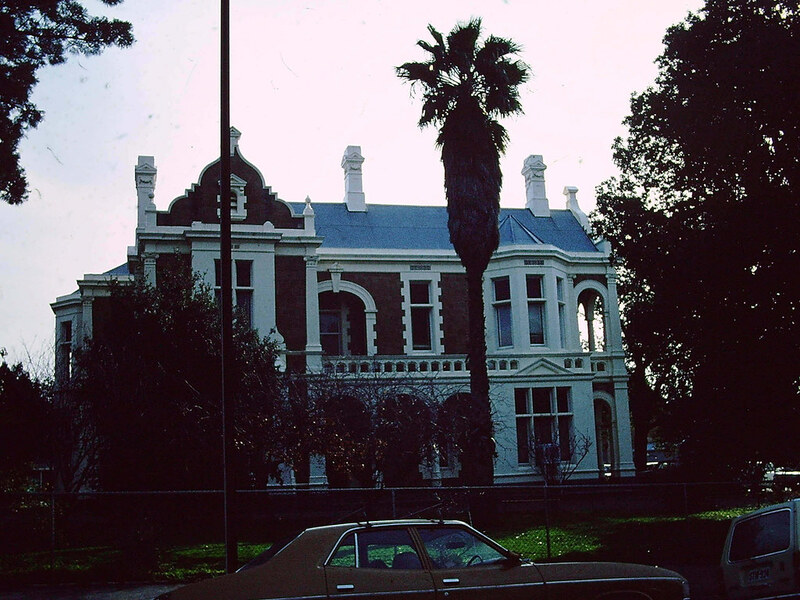 It was one of the last great residences to be built in late 19th century Adelaide before the economic crash and decades long recession which followed. Rymill House is also significant for its highly unusual attribute of being designed to be viewed ‘in the round’. It has as a consequence an enhanced degree of unity in its relationship to its setting and a ‘set-piece’ quality that is reminiscent of the baronial manors of ‘Old England’. The interior of Rymill House is significant for the remarkable diversity of its ornamentation and detailing a feature of the Queen Anne style. 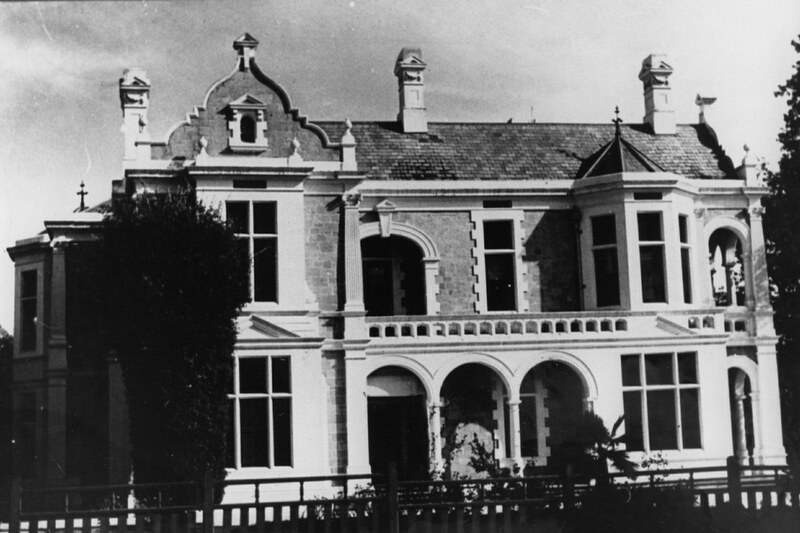 Rymill House has high historical significance due to both its place in the development of architecture in South Australia and its association with the Rymills – a prominent South Australian family.